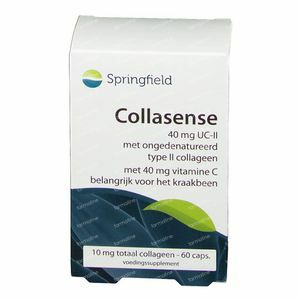 Springfield Collasense 60 capsules order online. Collagen is the main protein found in the connective- and support tissue of the body. The collagen in the cartilage of the joints is mainly composed of collagen type II. 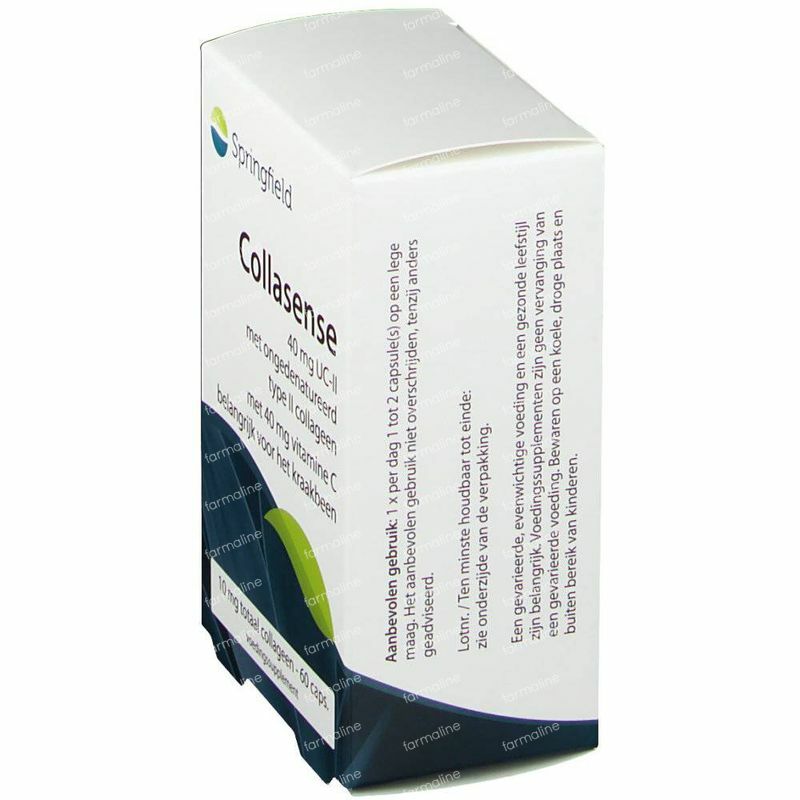 This type of collagen is also in Collasense II and therefore has a positive effect on the joint cartilage. 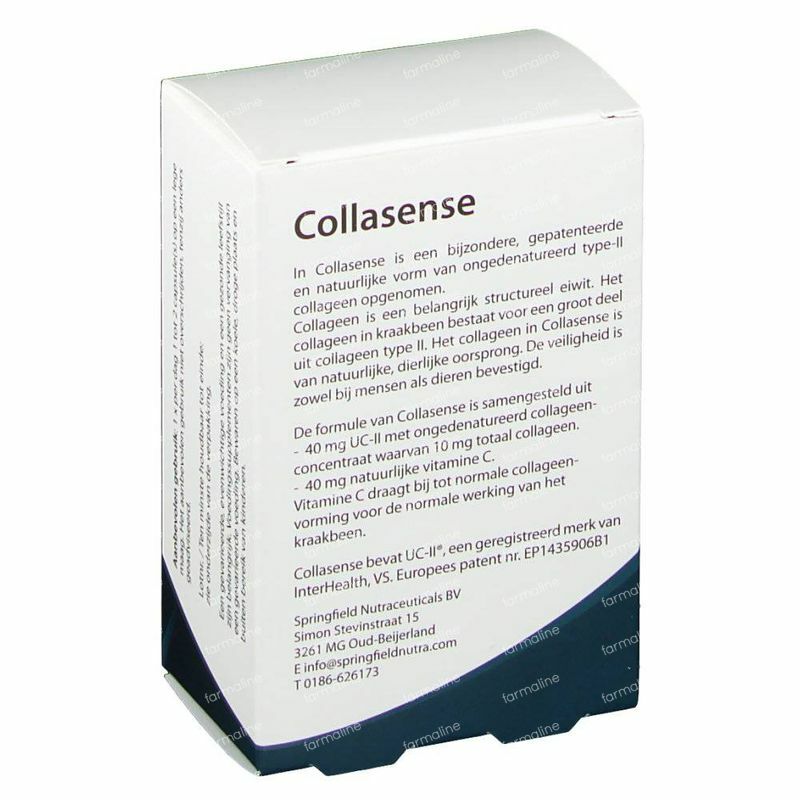 It converts the processes in the immune cells which take care of the maintenance of the collagen in the articular cartilage. a great product for arthritic pain. 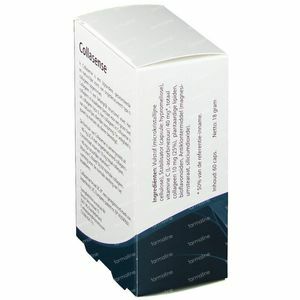 I find this more effective than glucosamine. 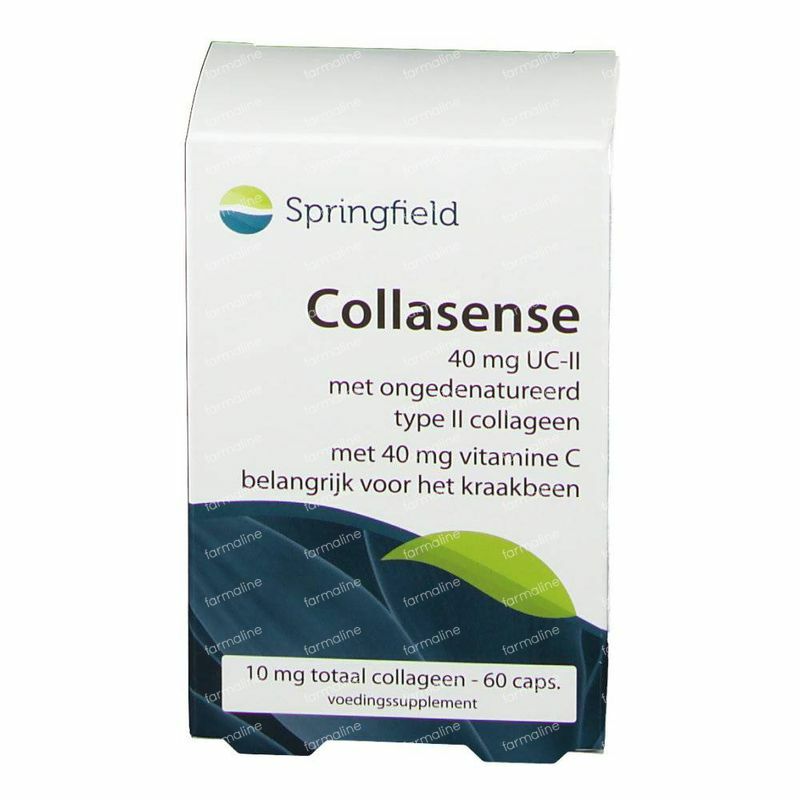 Try if for a month (1 pack). 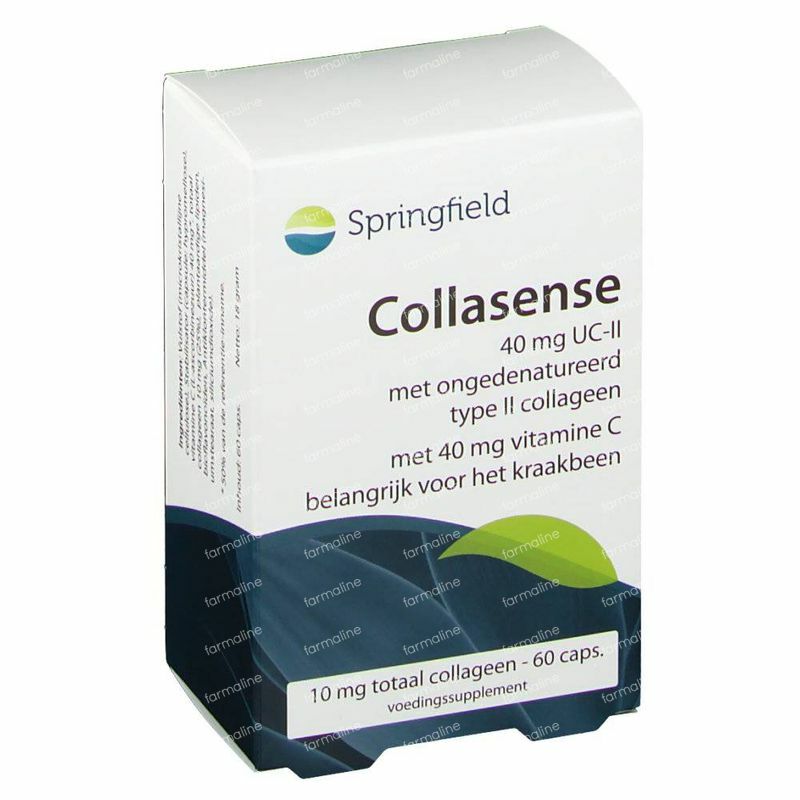 By the end of the time you will know if it is helpng or not.